Hyderabad: The Andhra Pradesh government is firming plans to offer additional incentives to developers as it invites bids afresh for four regional airports, but some firms say the bait may not be tempting enough. The proposed additional incentives include exemption from value-added taxes and waiver of lease rentals for the first seven years of operations, said Manmohan Singh, principal secretary in charge of infrastructure and investment in the state. The state had in March 2008 invited bids to develop eight airports in small cities. Thirty seven companies bought the bid documents but none bid for them as they found the projects not feasible. The state finally scrapped the process this July. “Now, following the additional incentives this time, we hope to attract developers to come forward and construct the four airports," said Singh. The regional airports would also be able to generate money for the developers through city-side developments that include shopping malls, hotels and convention centres, he said. India’s infrastructure and realty sectors are seeing a revival after a year of slump, but the aviation sector is still struggling to rise. “Given the poor air traffic opportunities in such places, the developer cannot expect aeronautical revenues," said C. Visweswara Rao, chairman of Navayuga Engineering Co. Ltd, one of the few firms that filed an expression of interest in the previous round. “Since the sites proposed for airport projects are far from the towns, non-aeronautical revenues are also doubtful." E. Sudhir Reddy, chairman and managing director, IVRCL Infrastructures and Projects Ltd, also said these airport projects are unviable because of high lending rates and poor potential for non-aeronautical revenues from shopping malls and hotels. IVRCL had bought the bid forms in the previous round but didn’t file an expression of interest. Regional airports typically act as links to hubs or main airports in metro cities, according to M. Thiagarajan, managing director of Paramount Airways (Pvt) Ltd, which flies to several regional airports such as Madurai and Tiruchirapalli, both in Tamil Nadu. “If you are able to use small and right-sized aircraft, regional airports will be a great fit to any airline and country," Thiagarajan said. “But with the current situation, it is tough to believe that somebody will be ready to invest in creating a new infrastructure at any regional location." India currently has 80 airports, of which 24 major airports together account for 94% of the total air traffic, according to a report by Centre for Asia Pacific Aviation. The fresh round of bids would be for airports at Ramagundam, Kurnool, Tadepalligudem and Nizamabad in Andhra Pradesh. Each airport requires around 500 acres of land, including for city-side development. The government has dropped three airports from its original list after Airports Authority of India rejected the proposed sites at Vijayanagaram, Kothagudem and Nellore because of insufficient land and structures nearby. The state is not including the proposed Ongole airport either in the latest round as it has offered the project to Ras Al Khaimah, one of the emirates of the United Arab Emirates, through a memorandum of understanding. 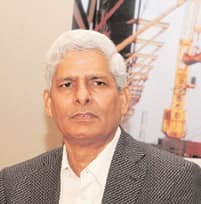 Infrastructure Corp. of Andhra Pradesh (Incap), the state’s nodal agency for promoting infrastructure projects, will issue a tender notice in the next fortnight and complete the technical and financial qualification rounds for the bids by mid January, Singh said. Incap will hire a consultancy firm to help it in the technical and financial bids process. Last time, Incap had hired Infrastructure Development Corp. (Karnataka) Ltd (iDeCK), a joint venture between IDFC Ltd and the Karnataka government that had assisted in the small airport projects at Gulbarga and Shimoga. “The AP (Andhra Pradesh) government plans to award airport projects to the shortlisted infrastructure firms that offer maximum revenue share to the government," said Singh. GMR Infrastructure Ltd had offered to share 4% of its revenue with the Andhra government when it won the Hyderabad international airport project in September 2003. P.R. Sanjai in Mumbai contributed to this story.